Milly Verchar Floral Bouquet Fizzy Bath Bomb Cup Cake & Icing Soap Set is a ‎convenience to any bath time. Separate the icing soap from the fizzy bath bomb cup cake over the warm bath water and let the fizzy bath bomb cup cake drop into the warm tub water, it will fizz and release its fragrance and moisturizers in the water. Use your icing soap topping from your Floral Bouquet Fizzy Bath Bomb Cup Cake to lather your bath puff that is in the set. Enjoy the great creamy lather moisturizing ingredients and relaxing scent from this bath bomb icing soap. On moist skin, spread on the moisturizing lotion that is also in the Floral Bouquet Fizzy Bath Bomb Cup Cake & Icing Soap Set. Ingredients : Sodium Bicarbonate, Citric Acid, Kaolin Clay, Corn Starch, Sweet Almond Oil, Witch Hazel, Vegetable Glycerin Soap, Fragrance Oil, Colorant, Cosmetic Glitter. Ingredients : Distilled Water, Hemp Oil, Extracts of Avocado, Chamomile, lavender, sage and Witch Hazel, Aloe Vera and Vitamin E, Fragrance Oils. Bath Bomb & Icing Soap Wt. 5 oz. to 5.5 oz. The Set is in clear packaging and a dispossible dessert boat dish. 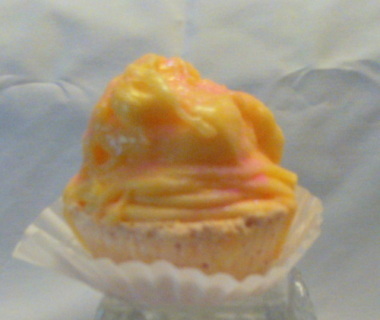 Single Floral Bouquet Fizzy Bath Bomb Cup Cake & Icing Soap 5 oz. to 5.5 oz. 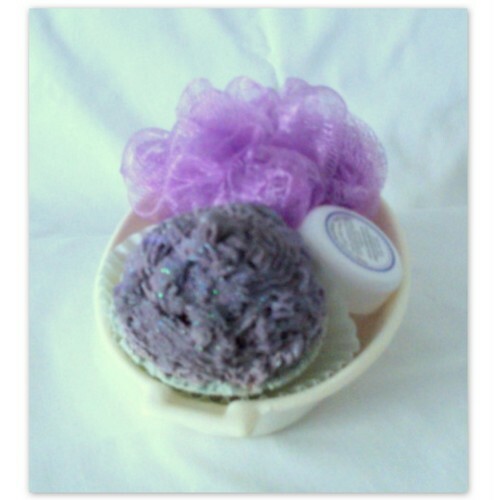 Milly Verchar Lilac Bouquet Fizzy Bath Bomb Cup Cake & Semi-Soft Soap Frosting Set is a ‎convenience to any bath time. Separate the semi-soft soap frosting from the fizzy bath bomb cup cake over the warm bath water and let the fizzy bath bomb cup cake drop into the warm tub water, it will fizz and release its fragrance and moisturizers in the water. Use your semi-soft soap frosting topping from your Lilac Bouquet Fizzy Bath Bomb Cup Cake to lather your bath puff that is in the set. 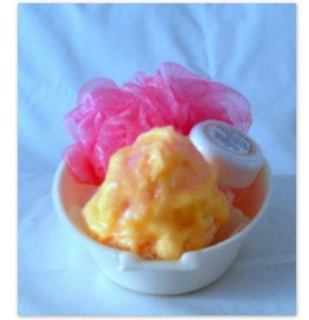 Enjoy the great creamy lather moisturizing ingredients and relaxing scent from this semi-soft soap frosting. On moist skin, spread on the moisturizing lotion that is also in the Lilac Bouquet Fizzy Bath Bomb Cup Cake & Semi-Soft Soap Frosting Set. Bath Bomb & Semi-Soft Soap Frosting wt. 5 oz. to 5.5 oz. 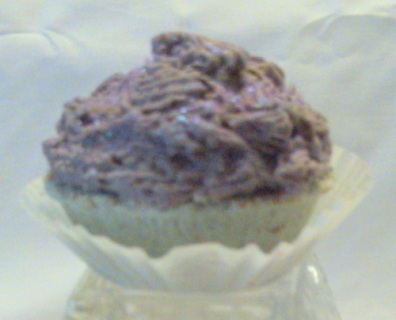 Single Lilac Bouquet Fizzy Bath Bomb Cup Cake & Semi-Soft Soap Frosting 5 oz to 5.5 oz.